The Palestinian Health Ministry in the Gaza Strip has reported, earlier Saturday, that a young Palestinian man, 18 years of age, died from serious wounds he suffered, Friday, after Israeli soldiers shot him with live fire, east of the al-Boreij refugee camp, in central Gaza. 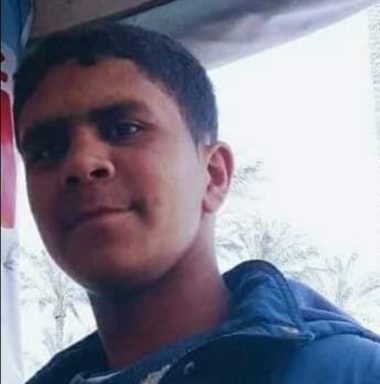 Dr. Ashraf al-Qedra, the spokesperson of the Health Ministry in Gaza, said that Ayman Monir Mohammad Shbair , 18, was shot in the abdomen before he received the urgently needed treatment by field medics, and was rushed to a local hospital in a very serious condition. Shbair, from Deir al-Balah in central Gaza Strip, underwent a surgery and remained in the intensive care unit until he succumbed to his wounds.